Three Treasures values our staff above all else. They are the heart and soul of our organization and are multi-skilled. Our Kung Fu staff (not all are pictured) also operate our five Youth Mentorship Programs sites across the county. Besides being personal students of Sifu Du, our staff also train Qi Gong ,Tai Chi, and Lion Dance as well as Brazilian Jiu Jitsu with World Champion Professor David at Primal Jiu Jitsu in Mira Mesa. 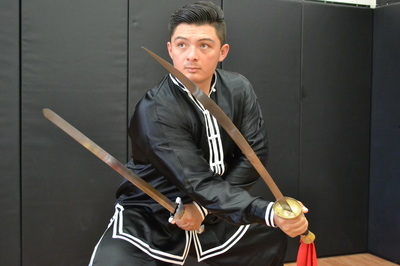 Sifu chooses his staff very carefully because he believes in the amount of emotional investment it takes to train our students and serve the community. All our staff are not just CPR certified and FBI background checked; they are genuinely good hearted and caring. They embody compassion, humility, and when needed, the fierceness of a tiger. There is an old Kung Fu saying that finding a good teacher is hard but finding good students is harder. 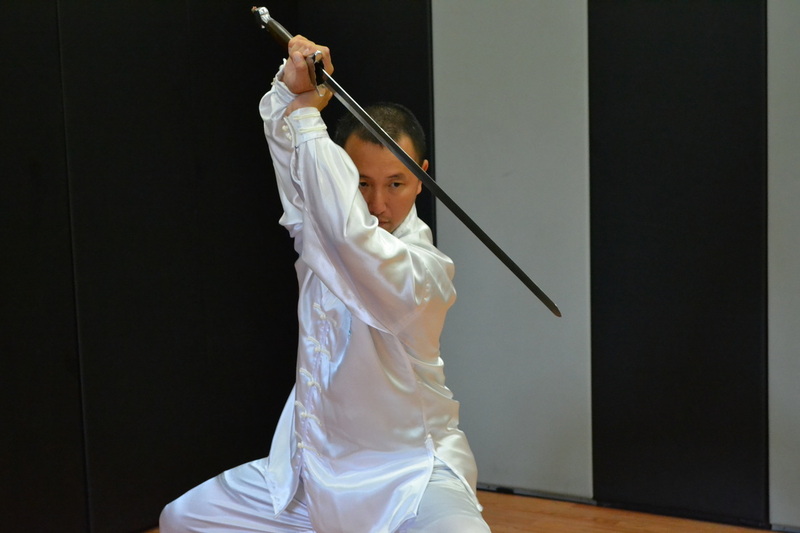 Sifu Du is our Executive Director and Founder. He has successfully combined his passions for Martial Arts and giving back to the community and is living out a dream. His wife and children also train and they live in Rancho Penasquitos. Si Hing Josh is one of two original students left from the days before Three Treasures even had a name. Josh has significant roles in several Three Treasures departments which shows his talent and versatility. 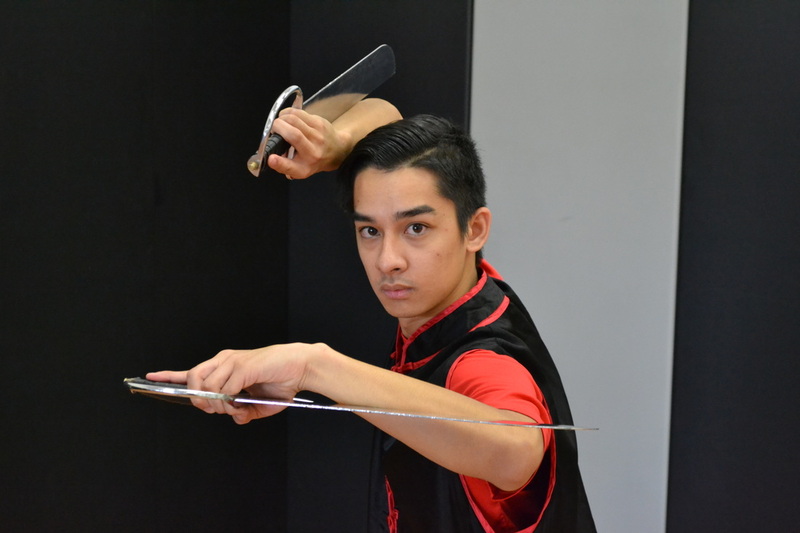 He is an accomplished fighter as well as excelling in forms, Lion Dance, and Jiu Jitsu. Josh is a licensed Massage Therapist and also lives in Rancho Penasquitos. Si Jie Tamara has quickly ascended to being one of Sifu Du's most trusted students. Not only has she done very well in tournaments placing 1st and 2nd across all her categories, she has taken a leadership role in our Youth Mentorship Program working with children daily. She attends San Diego State and is an accomplished hip hop dancer. She lives in Mira Mesa. 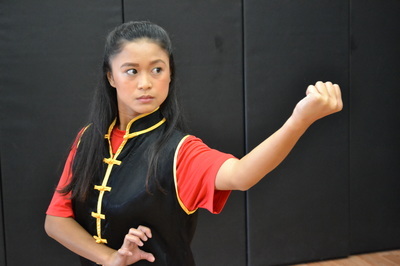 Like the others on our staff, Kalani is a multi-talented future Sifu. He loves the passion of Three Treasures and the goals we have set. Kalani is one of our best Lion Dancers as well as runs our Kung Fu studio. He attends San Diego State and is originally from Monterrey, CA. Kat is part of our rising core of strong female instructors. She has placed 1st in weapon forms and sparring and has quickly becoming a force to be reckoned with. Besides Kung Fu, Kat teaches Hula for our Youth Mentorship Program. 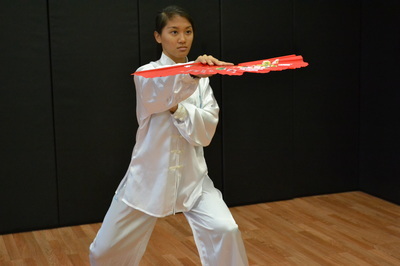 She will be transferring to San Diego State and originally from the Phillipines.